Keeping the photography-focused audience in mind, Google had earlier offered Google Pixel 3 and Pixel 3 XL and was a success in pleasing that particular section in 2018. Now Google is coming with the ‘Lite’ versions of the Pixel 3 and Pixel 3 XL in the US in the upcoming spring. It is expected that the giant search Engine in partnership with Verizon has plans to launch the Pixel 3 Lite and Pixel 3 XL Lite. 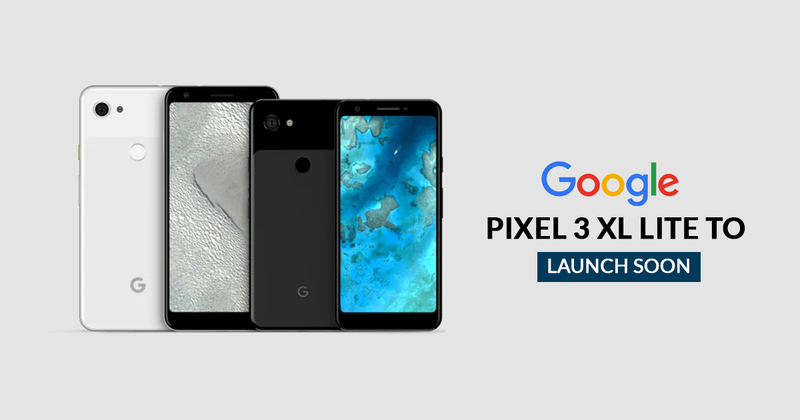 The Models Google Pixel 3 Lite as well as the Pixel 3 XL Lite has already been featured in rumours and spotted in some alleged activities in the recent past.The price and the exact date of launch are yet to be revealed but via a person familiar to the development, news came out that Google is coming with the two new models Google Pixel 3 Lite and Pixel 3 XL Lite in the US in early spring 2019.The new Pixel models are expected to be made available through Verizon. The Pixel 3 Lite and Pixel 3 XL Lite is supposed to have a Qualcomm Snapdragon 670 or Snapdragon 710 SoC, 4GB of RAM, 32GB of onboard storage, a single 12-megapixel rear camera, and an 8-megapixel front camera. According to the previous reports, the new Pixel phones are expected to retain the traditional headphone jack. As per the reports, the Pixel 3 Lite is reported to feature a 5.5-inch display and the Pixel 3 XL Lite could have a 6-inch display. So far as price is concerned, the Pixel 3 Lite and Pixel 3 XL Lite could be launched with a price tag roughly between $400-500 (in Indian currency Rs. 28,000-Rs. 35,000) which is significantly lower than the price of the Pixel 3 which starts at $799 in the US (Rs. 71,000 in India). It was rumoured in the past reports that the Pixel 3 Lite would come along with the Pixel 3 as well as the iPhone XR, iPhone XS, iPhone 5s, and the Nokia 3310.The Pixel 3 Lite XL was disguised and reported to be found with a notch-less design at the front - unlike the display notch-featuring Google Pixel 3 XL. A recent ARCore APK teardown suggested code names for the new models of Pixel 3 Lite as 'Bonito' and 'Sargo'. It is expected that the new Pixel models, despite having mid-range, could be able to follow the legacy and offer an enhanced photography experience.